Organic labeling can be a tricky business, so it’s important to know the rules. There are several levels of organic labeling set by the U.S. Department of Agriculture. Produce can be labeled “certified organic” if it comes from a producer that can prove that it has been organically certified by a USDA-approved certifier. 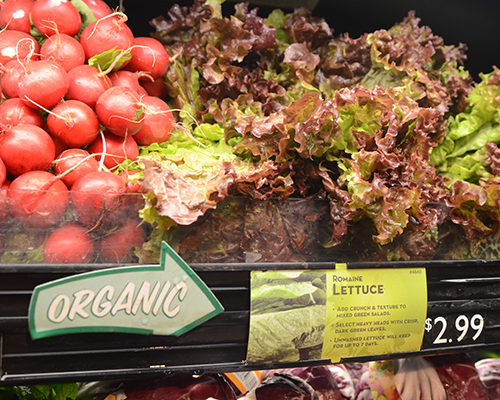 This produce can contain the words “certified organic” or the USDA organic seal on its label. Products can be labeled 100% organic if all ingredients are certified organic, all processing aids are organic and the label states the name of the certifying agent in the information panel. These products can bear the words “100% organic” and can carry the USDA organic seal. Items bearing the organic label must contain only certified organic agricultural items. Five percent of the ingredients may be non-organic, but they must be on the National List of allowed items. These labels must include the name of the certifying agent in the information panel. These labels can bear the word “organic” and may use the USDA organic seal.